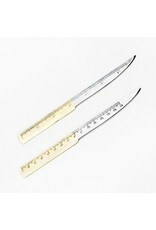 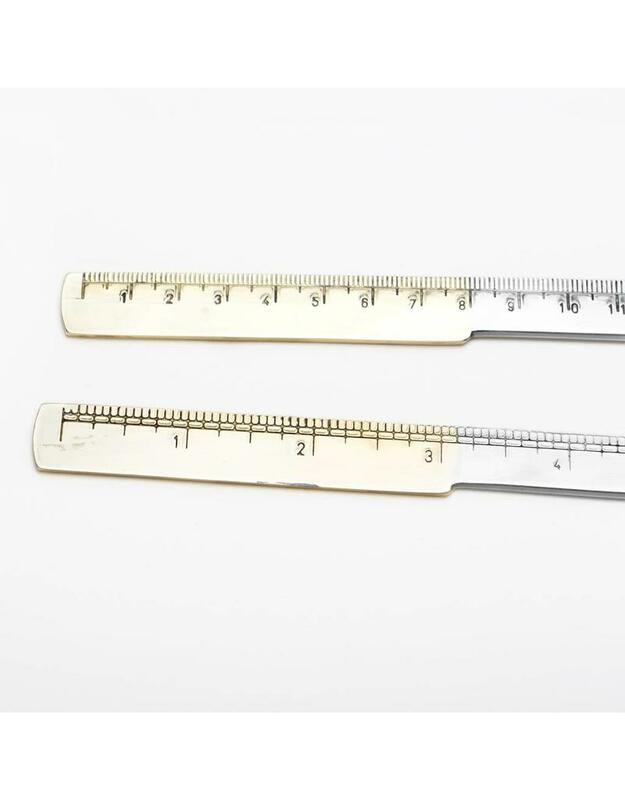 Add an element of old fashioned elegance to your desk with this letter opener and ruler. 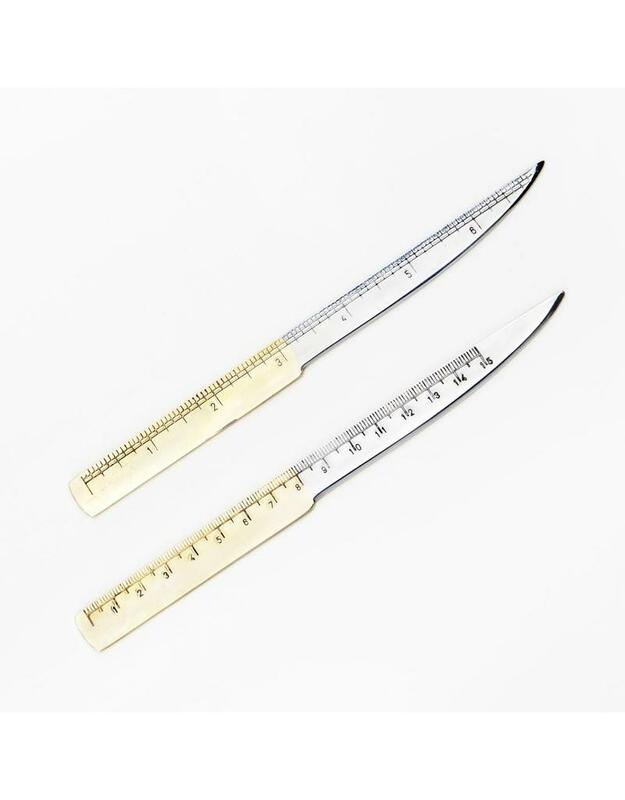 Crafted in Italy from hard tempered steel, this graceful yet practical tool features a refined gold plated handle and engraved imperial or metric measurements. 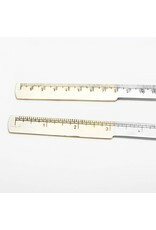 Measures 7.5".